On the 28th February, Johnstone High School’s dance club competed at the Active Schools Renfrewshire Secondary Dance Competition. 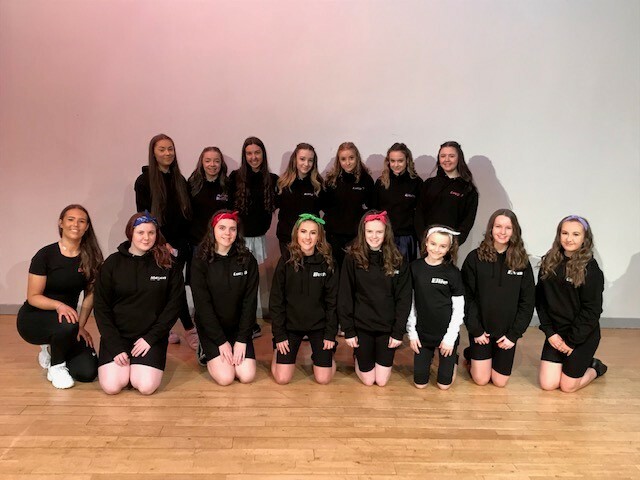 Megan Mckay (S2), Lucy Dingwall (S2), Beth Craig (S2), Millie MacLellan (S2), Ellie McGreish (S1), Eva Millar (S2) and Carys Kelly (S2) all competed in a hip-hop style group routine, choreographed by Erin Connor (S5) and Amy Kearney (S6). They came 3rd in the S1/2 category. Lucy Tustain (S3) and Amy Crawford (S3) competed in a tap duet choreographed by Erin Connor (S5) and Lucy Jeffrey (S5). They placed 2nd in the S3-6 category. Lucy S3, Amy S3, Lucy S2, Amy Kelly (S3), Emily Duff (S3) and Chantelle Hamilton (S3) all competed in a contemporary / lyrical style group routine, choreographed by Lucy (S5) and won 1st place in the S1-6 mixed category of the competition. Ellie McGreish (S1) won the best dacer from Johnstone High School. Congratulations to all of our fabulous dancers!